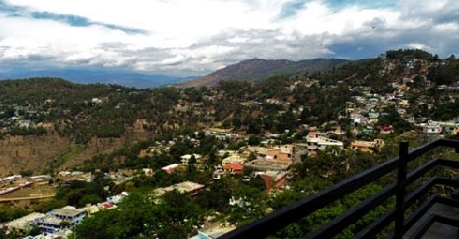 Planning to explore the hidden beauty of Almora, then Hotel Shivalik is an ideal vacation stay option for you. Located in the heart of Almora town, Hotel Shivalik overlooks the majestic beauty of snow clad mountains and beautiful valley that makes staying here a heavenly experience. 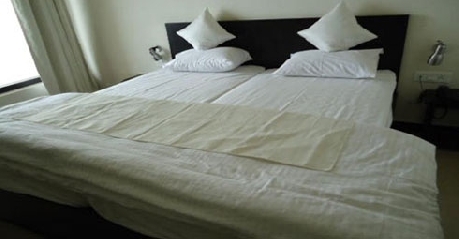 The hotel offers four basic accommodation option to cater to diverse clientele with different requirements and budget range. The rooms include Deluxe rooms, Luxury Rooms, Victoria Rooms and Royal rooms. To cater to the culinary needs of patrons, the hotel has developed a multi cuisine restaurant within its property that serves lip smacking delicacies from local, Indian and popular global cuisines. 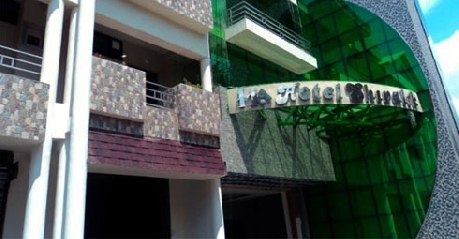 To ensure pleasant stay of guests, the hotel has also developed several other facilities and features such as broadband internet facility, satellite television connectivity, station transfers, sightseeing services, travel desk, separate parking space, doctor on call facility and bicycles on hire facility. The amazing location and warm hospitality makes this two star property ‘must try’ option for tourist traveling to Kumaon region. 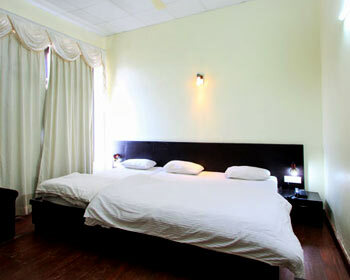 Deluxe Rooms are the simplest form of accommodation available at the Shivalik Hotel, Almora. The rooms are designed in typical Kumaoni architectural style that welcomes patrons with its unique feel and appeal. Furthermore, the Rooms are equipped with basic amenities and features that make it ideal for solo and business travelers to the hill station. The in room amenities include tea and coffee maker, bathroom toiletries, daily newspaper service, room heater, high speed internet access, study table and chair, sit out area, intercom telephone facility, color television with satellite connectivity, hot and cold water facility and separate shower area. If utmost comfort and classy luxury is what excites you, then Luxury rooms available at Hotel Shivalik are ideal for you. As the name suggests, the luxury room have more lavish and evident designer décor that is inspired from the local architecture and culture. 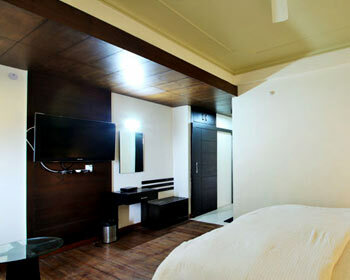 The overall look of the room is very plush as it is equipped with best of features and in room amenities. 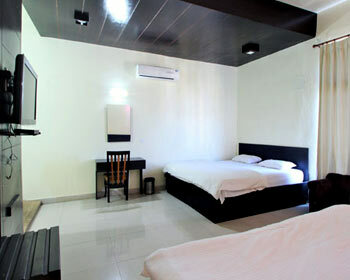 The facilities included as part of the room are tea and coffee maker, air conditioning, study table, high speed internet access through data port, color television with satellite connectivity, separate shower area, hot and cold water facility, balcony or sit out area, intercom telephone facility, daily newspaper service and room heaters. 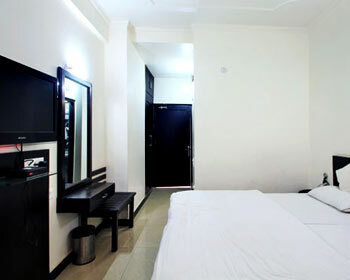 The luxurious feel and host of amenities are the standout features of Luxury rooms available here. If space is your prime requirement, then Victoria Rooms will surely cater to all your staying needs this vacation. The Victoria Rooms consist of three separate beds that make them ideal to host a group or a family traveling together to Almora. These rooms have very plush feel and appeal, thanks to the imperial structure and architecture of the hotel. What makes these rooms stand apart from competition is the long list of features and amenities that are included as part of the package. 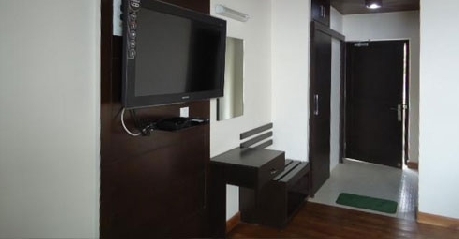 These include tea and coffee maker, air conditioning, study table, high speed internet access through data port, color television with satellite connectivity, separate shower area, hot and cold water facility, balcony or sit out area, intercom telephone facility, daily newspaper service and room heaters. Victoria Rooms are ideal for families or group travelers. 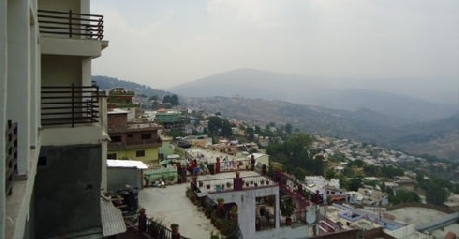 If you are looking for a vacation stay option in Almora that allows your whole family to live together and spend quality time amid scenic natural beauty, then Royal Rooms at Hotel Shivalik are ideal for you. The Royal Rooms are designed to maximize space and therefore are able to incorporate four beds in it; allowing an entire family to stay together. The Royal Rooms as the name suggests, have opulent décor and classy interiors which make living here a pleasurable experience. Moreover, the in- room amenities further enhance the overall worth of these rooms. The facilities included as part of the Royal Rooms are tea and coffee maker, air conditioning, study table, high speed internet access through data port, color television with satellite connectivity, separate shower area, hot and cold water facility, balcony or sit out area, intercom telephone facility, daily newspaper service and room heaters. Pamper your taste buds with the best flavors available in Almora, by visiting the multi-cuisine restaurant located on the premises of Hotel Shivalik. The restaurant is themed around the scenic beauty of the snow clad hills and beautiful valley it overlooks. The in house eatery serves different cuisines ranging from local Kumaoni, main stream Indian as well as other popular global dishes. Patrons are urged to try the local dishes that are prepared as per traditional recipe that imparts unique taste and aroma to the preparations. Scenic beauty and mesmerizing taste are the factors that make dining here a memorable experience.